Metal artist Yuichi Takemata got his start designing and producing an original line of jewelry. 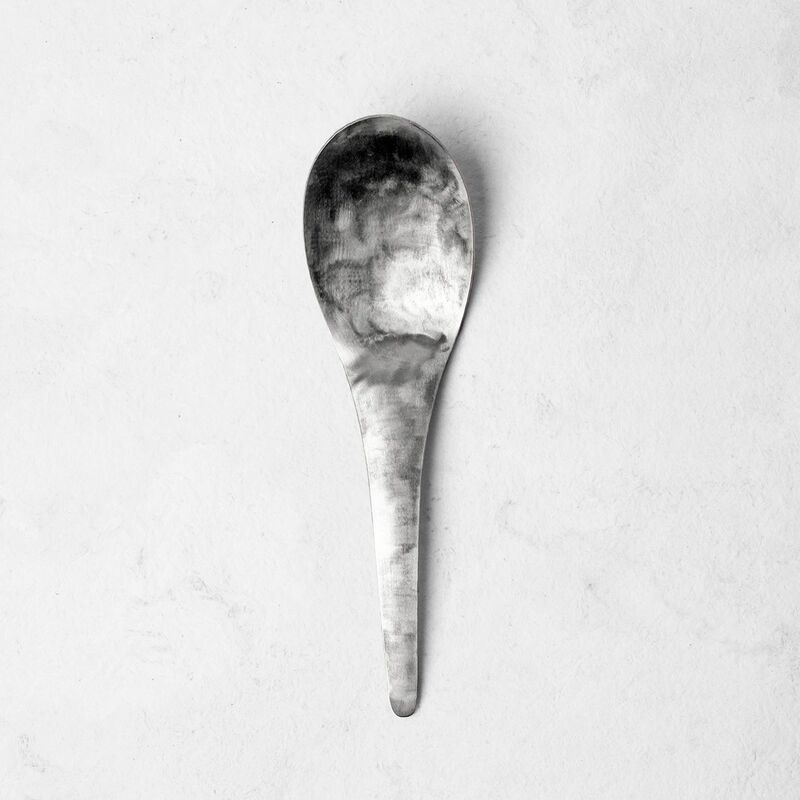 A chance meeting with urushi artist Akito Akagi led to Takemata's eventual collaborations with many other artisans, and his work producing a series of hand made cutlery and tableware. 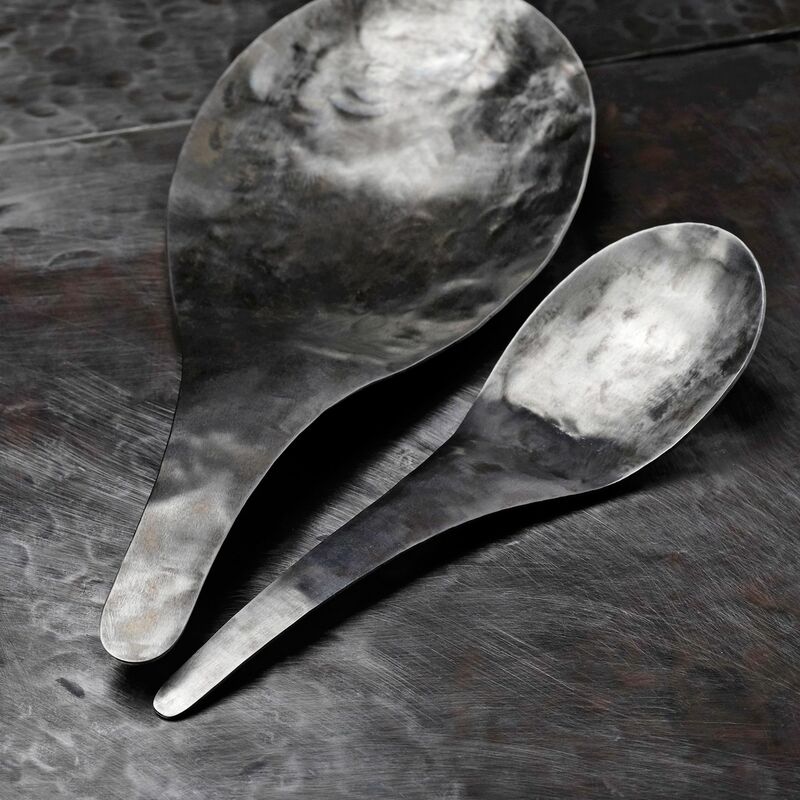 Takemata uses a hammering technique to finish his cutlery giving each piece a subtle textured surface.